Fall is here! When I think of fall it’s usually: Flannels, Pumpkin Spiced Lattes, and Leather Jackets. However in the last days of summer, I had the opportunity to attend the Project Beauty Expo and pick up a few items to jump start my fall beauty routine right! The Project Beauty Expo (PBE) has been in existence for three years and was launched by Brittany Brown. The expo features wellness, personal care, and cosmetic brands founded by women of color. I was inspired as an aspiring entrepreneur seeing 40 brands showcase their product. 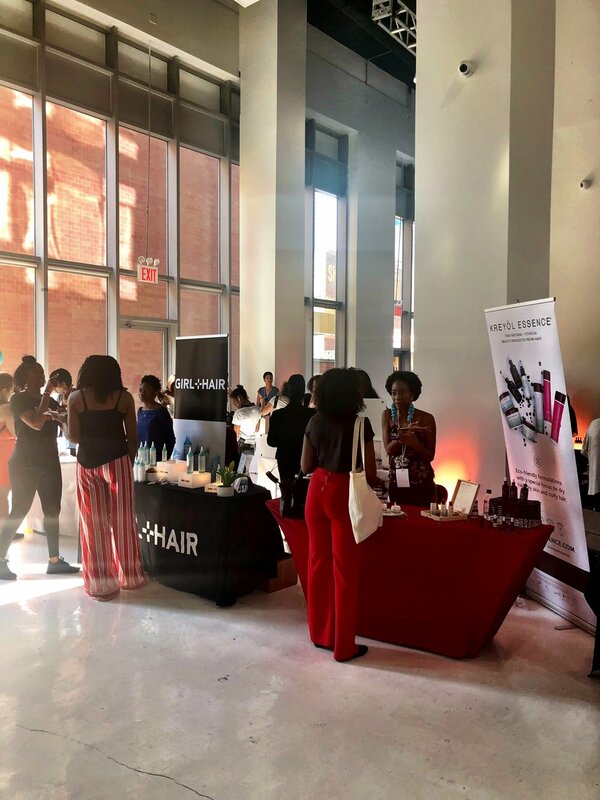 The expo provided a space were women of color could gain additional knowledge in band wellness and connected with fellow beauty enthusiasts. My skin does very weird things when the seasons change..does this happen to y’all? So much so that I am careful of what type of soap I use. I think the universe heard my concern because I ran right into Kim Waldropt of Terra Tory’s products. The artisan-soap line is hypoallergenic and inspired aerial landscape photography. Me being a sucker for anything lavender scented opted for the Milk and Lavender soap. I am going to try the Cocoa, Coffee,Oatmeal Bar next! Blade and Bloom offers 100% natural skincare products that do good while making you feel good. Their products are handmade in Chicago packaged in recyclable / reusable containers. I stopped dead in my tracks when seeing (drumroll please) A JADE ROLLER! Various crystals are speculated to offer different benefits, the rollers are no diff. Rose quartz is said to improve anxiety, reduce negative energy, and aid with romance and self-love. Amethyst is said to promote healing and balance, including sleep and the nervous system, and jade (the one I purchased) is meant to be calming. They make great tools for calming the skin, reducing inflammation and puffiness, and providing a cooling massage to tired facial muscles. Check out Fashion Edits the week of October 1st as I highlight more brands from the Project Beauty Expo!